Team C Det finns 19 produkter. The success story continues! Right after the TC02 and the TC02Evo, the next one hits the grid. 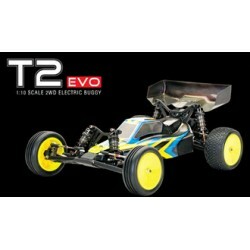 The new top model in Team C's 2WD Buggy line, the T2Evo. Suited with the brand new geared differential unit and loads of option parts. Ready to Win! 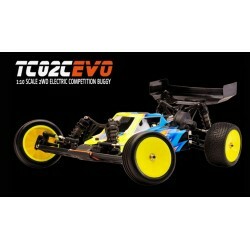 Team Cs finest 4WD competition kit with a lot hop up parts included already. Perfect layout, design and performance combined with the finest materials. 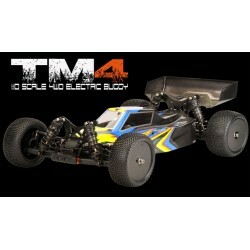 With the TS4TE Team C brings an evolution of the TS4 on the RC car market. Compared to its predecessor the TS4 the TS4TE now comes with 14mm big bore shock absorbers and aluminum arm holder, these are just 2 of many changes. T8E 3.0. From every vehicle, every year a new version comes on the market. Now it has hit the T8E is now in its 3rd generation. 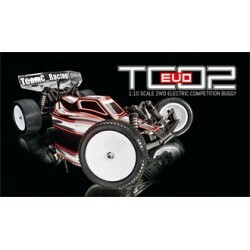 The T8E V3 has been packed with many new features and is just waiting to get on the track and winning races.